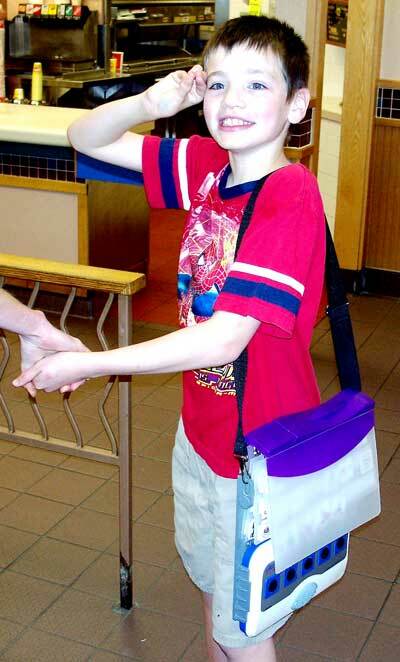 The first moveable picture communication system that actually talks The ProxTalker is an assistive communications device that anyone who uses picture exchange (PECS) to communicate can easily learn. The benefit is increased independence in communication because the ProxTalker actually talks! Each Sound Tag is encoded with a unique radio frequency identification code. When the Sound tag is place on the zone button and pressed, the ProxTalker detects the tag and then it speaks the word associated with the it. There are five word zone buttons so a complete sentence can be formed. Sound Tags are included with the device and are also available to add to a system. 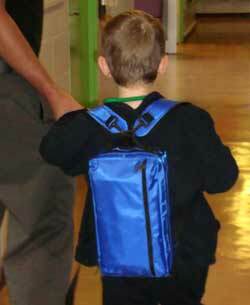 Specially designed binders and accessories are available for added convenience. Multiple real human voices and multiple languages are available.There is no programming involved. 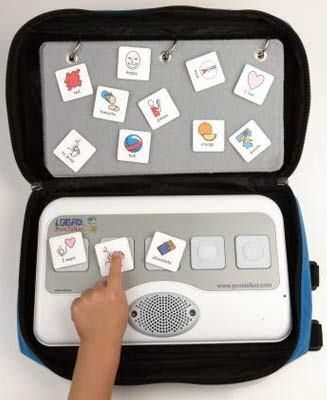 The ProxTalker is an assistive technology voice output device designed specifically to address the needs of PECS users who are not yet ready for a dynamic screen device but have exceeded the capabilities of a fixed position voice output device. The fundamental difference between fixed position devices and the ProxTalker is the fact that the Sound Tags can be moved as desired and there is no need to change ‘levels’ or cards in order to change words. The ease of use and versatility provides a major benefit to the user in terms of practical voice output using symbols with a reduced dependence on others. The ProxTalker has no menus so users who struggle with menu-driven systems will find it easy to use. There is no complicated programming required so using the ProxTalker easier for the support team as well. The Logan ProxTalker can hold more than 10,000 words. 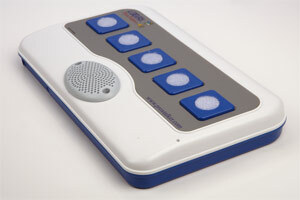 Standard words are included and custom words can be added right through the on-board microphone or by computer. String 5 words together to form a sentence. Compatible with any picture-exchange system.